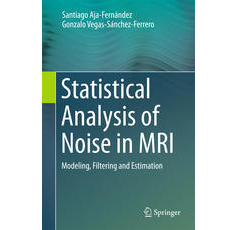 Cárdenes-Almeida, R., E. Muñoz-Moreno, R. Sarabia-Herrero, D. Argibay-Quiñones, and M. Martin-Fernandez, "Quantitative Analysis of Pyramidal Tracts in Brain Tumor Patients Using Diffusion Tensor Imaging", Tumors of the Central Nervous System, Volume 4: Springer Netherlands, pp. 143–152, 2012. Cárdenes-Almeida, R., E. Muñoz-Moreno, R. Sarabia-Herrero, M. Rodríguez-Velasco, J. José Fuertes-Alija, and M. Martin-Fernandez, "Analysis of the pyramidal tract in tumor patients using diffusion tensor imaging", NeuroImage, vol. 50, no. 1: Elsevier, pp. 27–39, 2010. Muñoz-Moreno, E., S. Aja-Fernández, and M. Martin-Fernandez, "Quality Assessment of Tensor Images", Tensors in Image Processing and Computer Vision: Springer London, pp. 79–103, 2009. Muñoz-Moreno, E., R. Cárdenes-Almeida, and M. Martin-Fernandez, "Review of techniques for registration of diffusion tensor imaging", Tensors in Image Processing and Computer Vision: Springer London, pp. 273–297, 2009. Brun, A., M. Martin-Fernandez, B. Acar, E. Muñoz-Moreno, L. Cammoun, A. Sigfridsson, D. Sosa-Cabrera, B. Svensson, M. Herberthson, and H. Knutsson, "Similar Tensor Arrays–A Framework for Storage of Tensor Array Data", Tensors in Image Processing and Computer Vision: Springer London, pp. 407–428, 2009. Muñoz-Moreno, E., S. Aja-Fernández, and M. Martin-Fernandez, "A methodology for quality assessment in tensor images", Computer Vision and Pattern Recognition Workshops, 2008. CVPRW'08. IEEE Computer Society Conference on: IEEE, pp. 1–6, 2008. Martin-Fernandez, M., E. Muñoz-Moreno, and C. Alberola-Lopez, "A Speckle Removal Filter Based on Anisotropic Wiener Filtering and the Rice Distribution", Ultrasonics Symposium, 2006. IEEE: IEEE, pp. 1694–1697, 2006.